Photograph © Doug Harding. 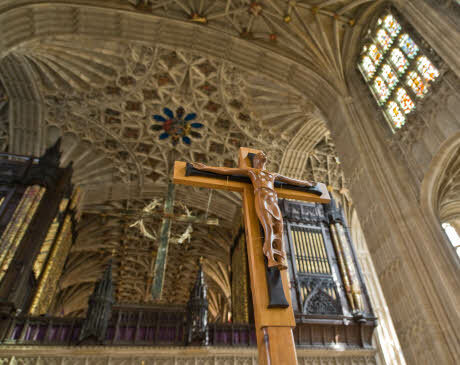 Wooden crucifix, carved by Don Potter, in front of the Organ. Next PostNext Why not visit and see…?